In the ongoing process to license Ontario’s Home Inspectors, the Government has released their Consultation Paper on “Implementing the Home Inspection Act.” Cut-off for public input is required by Feb. 16, 2018. It’s important for the Public to understand this should be an Election Issue as the government has also committed, in a similar time frame, to be reviewing the Real Estate Business Brokers Act. REBBA are the rules that govern the Province’s Realtors. We agree that the Consultation Papers is a logical step in the process and will be posting our views once we have had time to review the document. However our biggest fear to date and re-enforced by Question #51 of the Consultation Paper is that the Ontario Government may be considering to officially put the Real Estate Council of Ontario, i.e Realtors, in charge of the Home Inspection Industry. We have already posted our submission (see below) in a July 22, 2017 response to Ministry regarding Real Estate Business Brokers Act, which will explain, although not labeled as such, our fears regarding Question #51. April has been another productive month at CFRHI. On April 10, the third reading took place on Bill 59, Putting Consumers First Act. We published a release expressing our concerns and recommendations with the Bill. On April 24, we submitted a letter to the Ontario Government regarding the tabled 16 Step Fair Housing Plan and it's impact on Real Estate reform. Check the links below for all the details. It must be understood that this bill has nothing to do with actual Home Inspections and in itself does not Licence Home Inspectors. Bottom-line, Bill-59 gives the Minister of Government and Consumers Services the singular right to form a DAA (Designated Administrative Authority) who in turn will establish the rules for and govern Home Inspectors & Home Inspections. We are concerned as the ministry that has gone on record stating that Home Inspectors need no pre-requisite education and that Realtors should have rights to influence Home Inspectors. This is also the Ministry that, following the DAA model, is in charge of such bodies as TERIAN (New Home Warranty) & RECO (Ontario’s Realtors). Based on the history of these two bodies we have grave we concerns. Is this going to be about Consumer Protection or is it going to be more about Protecting Home Inspectors and Realtors? After the 2nd reading, Bill-59 went to Committee (a formality) for a more in depth review and the opportunity for public input. We did attend all three days of the Public Hearings at Queens Park Feb. 21st, 27th & 28th and we did Presented (Witnessed) on Feb. 27th sharing our many concerns regarding Consumer Protection. In addition to our verbal presentation we presented a series of written briefs. Again we attended on March 6th when the Liberal dominated Committee reconvened and signed off on the Bill-59 Sec #1 in less than 15 minutes, showing no concern for the hours of Public Input. Expecting the Bill to be back in the house any time after March 7th for 3rd Reading we sent a last minute plea to all of Ontario’s MPP’s (in addition to a copy of Buy or Run) asking for an amendment at 3rd Reading in order to instill Consumer Rights into the Bill. Our compliments to Premier Wynne and MPP Han Dong for tabling Bill 165 to license Ontario’s Home Inspectors. Although this project started over three years ago through the former Ministry of Consumer Services and then passed to the current Ministry of Government & Consumer Services, we find it very encouraging that the Bill was tabled by Han Dong, the Parliamentary Assistant to the Minister of Training, Colleges & Universities. We view this as a positive move as just few months ago, when meeting with senior Training, Colleges & Universities staff, they knew nothing about the project. It’s our hope that Ontarians can take this as a sign that, unlike Alberta & BC where the educational requirements for licensing can be achieved in less than one day, we can look forward to legitimate post-secondary education requirements similar to requirements for Electricians, Plumbers and Engineers etc. However, the education of Home Inspectors is important, but must ultimately remain a second priority in the government’s mandate to provide honest and meaningful “Consumer Protection” regarding home inspections. Although Bill 165 makes reference to changes in other Acts, there is no comment about changes to the Real Estate and Business Brokers Act that govern the real estate industry. Regardless of education and licensing improvements, there will be minimal effect regarding better Consumer Protection as long as Realtors are allowed to remain in control of the day to day home inspection industry, as per the current practice. Consumers For Responsible Home Inspections continues to urge the public to speak up and be heard by their politicians. The professional committee mentioned by Han Dong does not adequately represent consumers. Said committee is dominated by Realtors, Lawyers, Home Inspectors and Insurance Companies. These parties have vested interests that benefit from the lowest possible licensing criteria. “Consumers often rely on and trust their real estate agents and should a have the right to allow their agents to recommend and even to arrange home inspections”. 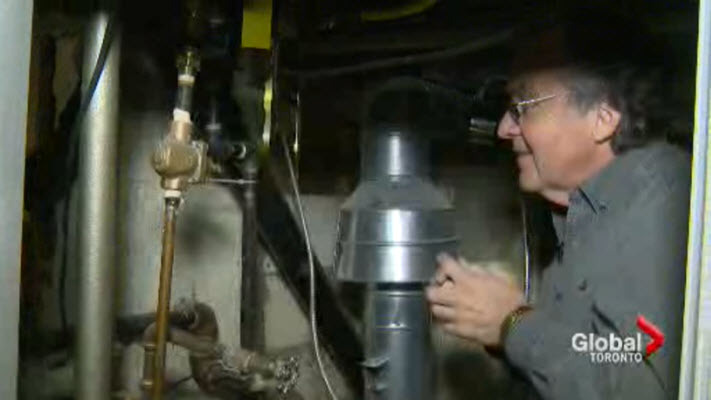 The second part of the Global News feature on home inspections in Ontario. On March 2, 2016 Bruce McClure discusses the issues of home inspector licensing and the lack of consumer protection in the home inspection industry. View the full article or click the Global Toronto logo below to watch the video. 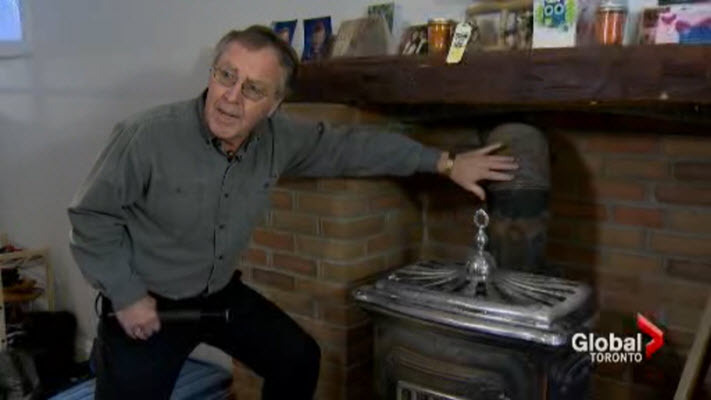 Global News ran a feature on March 1, 2016 where CFRHI's CEO Bruce McClure demonstrates how an unbiased home inspection is essential to help educate and inform a potential home buyer. View the full article or click the Global Toronto logo below to watch the video. CBC Toronto produced the following three part news feature on the challenges in the Home Inspection industry. Part 1 reiterates a familiar saga about the industry. Parts 2 and 3 highlight the real controversy behind the story that no one really wants to talk about. Part 3 is so controversial that it was not published on the current CBC YouTube channel, but is included below. An excellent interview, but missing two major points! Point 1. Although it's a typical example of a problem home inspection, the simple answer: "The inspector missed it". What we really need to ask is, "Why"? Was the inspector's primary objective to help the realtor close the deal in trade for future inspection business. Unfortunately, the unwritten standard of practice for Home Inspectors is, "Keep the realtor happy if you want to stay in business". This referral system has become so blatant that a number of the home inspectors insurance policies now include coverage for the referring Realtor. Point 2. Why has the government not stepped in regarding the issues presented in this three part news special? Because the housing industry is such a vital part of today’s economy the big picture is actually much bigger…. Many speculate that neither governments, home owners or the real estate community want the buying public to know just how many houses are in this condition; either grossly overpriced or in need of demolition, as they are no longer suitable for occupancy based on current requirements. When electricians, plumbers and gas fitters require formal education along with thousands of apprenticeship hours why is it that over 35 US states and three Canadian province feel home inspectors do not require formal education. In fact, the Ontario government's 2013 report, Qualifying Ontario’s Home Inspectors, states: “There should be no mandatory education requirement to become a home inspector”. It’s interesting here that the President of the Toronto Real Estate Board doesn’t deny that the realtors control the home inspection industry and simply brushes it away by saying they recommend three inspectors. This is a very safe statement for him or any realtor to make as they know full well they could even recommend 10 inspectors since the unwritten standard of practice for home inspectors remains is, “Keep the realtor happy if you want to stay in business”. Further, it’s obvious that in Ontario the realtors can remain confident when the Ontario government's 2013 report, Qualifying Ontario’s Home Inspectors, states, “Consumers often rely on and trust their real estate agents and should have the right to allow their agents to recommend and even to arrange home inspections”. People were asking us why CBC posted the videos of Parts 1 and 2 of this series, but did not publish the final Part 3 video on-line? Could it be that the Realtors control more than just the home inspection industry? On October 26, 2015 we prepared and submitted an Information Report and Proposal to all Members of the Ontario Legislature. This is our second such brief to this group. We also included a specific letter to Ontario Premier Kathleen Wynne. It’s the CFRHI position that the following two quotes from the MCS report exemplify how the Ministry is off track. “Consumers often rely on and trust their real estate agents and should have the right to allow their agents to recommend and even to arrange home inspections”. Sign Up to help make a difference!